Architect: Gensler – Dallas, Tx. 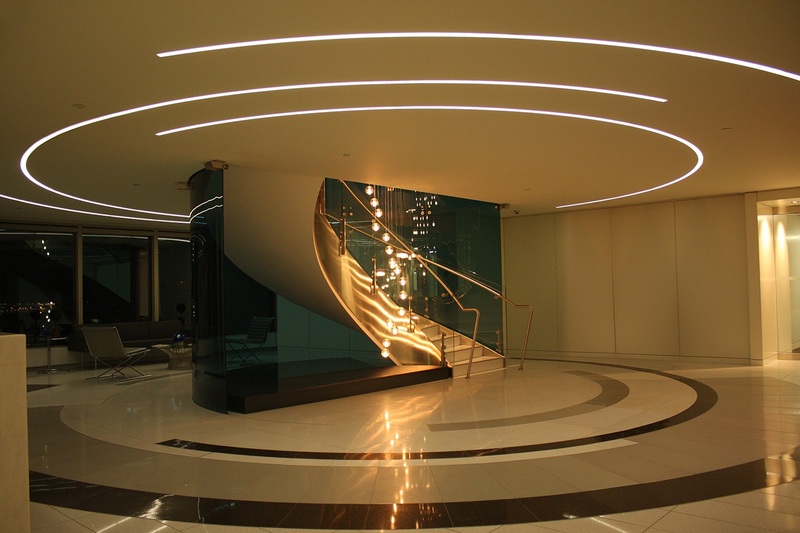 This stunning ceiling design was the result of collaboration between the Atlanta based lighting design firm oArchiluce and Gensler architects of Dallas, Texas. Apache Corporation’s gorgeous Canadian headquarters in Calgary, Alberta required a variety of unique lighting solutions to full realize the designer’s vision. 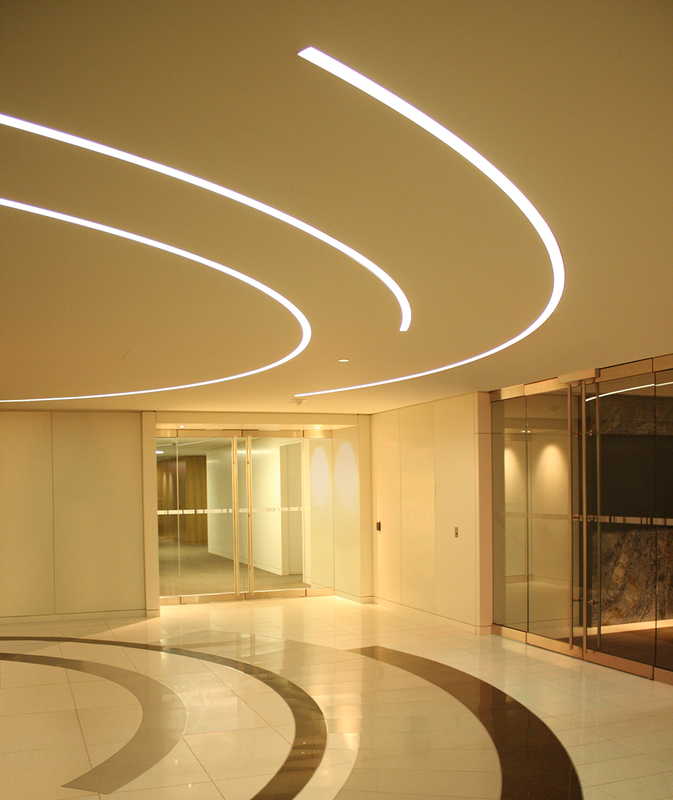 This elegant series of flush mounted glowing semi-circular shapes was achieved using VoksLyte’s Tangent Down luminaire, which were custom formed to follow each unique radius.